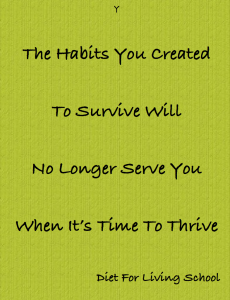 Many of us have been led to believe that declining health and chronic disease is just a circumstance of normal aging. I think we all need to take a look at what we are accepting as the norm. Because people are now having heart attacks and strokes in their 40’s. Women as young as 30 are being diagnosed with breast cancer. Today women are starting to have bone density loss at 45, fractures in their 50’s. 1 out of 2 Americans will contract cancer in their lifetime. 29 million Americans suffer from diabetes, 86 million are pre-diabetic. 15,000 children are diagnosed each year with diabetes and told there is no cure. What could possibly be normal about that? But famous longevity cultures, where people live disease free into their 80, 90’s and beyond, are proving that when you step back from chemical laden, bottled, boxed and processed foods, and eat foods close to Nature, there is every chance you can live a long disease free life. Nature is soooo smart! It puts more than enough vitamins, minerals and everything else we need inside our plant based foods. Eating a diet of 80-90% Living Foods is one of the recent uncovered secrets to health and longevity. HERE’S THE THING: COOKING YOUR FOOD DESTROYS…..
We are not rabbits. We will not contentedly munch on a carrot stick. We are not cows in a field. We do not have three stomachs to digest grass. And unlike chimps, we would get tired quickly of eating roots and shoots. This is where brilliant human ingenuity comes in. Since the 1960’s pioneering chefs and innovators have worked to turn Raw nuts into vegan cheeses that will make you weep with joy. Gluten free crackers that replace breads, made of garlic, onions, carrots. Fresh baby coconuts mixed with chia seeds, making a deluxe pudding that I guarantee will keep you coming back for more. Dairy-free cheesecake made from cashews that is guilt-free and decadent enough for any guest at your holiday table. Delicious blender drinks that help us more easily access the nutrients of green foods. I could go on and on. I am so excited and passionate about these modern food creations. As many of you know I am an 13 year chemo-free cancer survivor. I used a non-toxic nutritional protocol to heal. 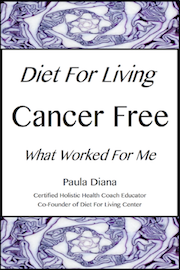 I have since followed a 80-90% Raw Food diet to prevent cancer from returning. I am often congratulated for staying on track all these years. But to be honest, if the plant based food creations where not so delicious it would not have been easy to stick with…it certainly would not have been possible to love it like I do. Because the old phrase “the way to a person’s heart is though their stomach” still applies. At Diet For Living School we teach you to make foods that will knock your socks off while you get healthy and wow everyone you introduce them to. Add to a high powered blender the cashews and aquafaba. Blend until the mixture is smooth. Then add the rest of the above ingredients and re-blend till creamy. Set out in a lovely bowl to be spread lavishly on crackers or cut vegetables. Enjoy!